If your job is to run an up-and-coming Airbnb property management company, then you will be very interested in some free videos from the expensive, but super interesting PhocusWright Europe conference. The entrance fee to the online travel conference Phocuswright Europe is close to €1,800. And you have to fly or take the train to Amsterdam to attend (+ shell out money for a hotel room or an apartment rental). If you are a busy vacation rental property manager, your time and your money may be better invested in upgrading your PMS or finding the right company to outsource your cleaning. Yet, the good news is that you can still benefit from key learnings by watching free video replays of Phocuswright Europe. I was lucky to attend in person the 2018 edition in Amsterdam. I have selected a few videos, featuring Airbnb and Booking.com, as well as a very interesting data shareout by Expedia. You can go to the PhocusWright Europe video playlist in the RentalPreneurs YouTube channel. Jeroen Merchiers, Director EMEA at Airbnb was interviewed during this session. Interesting question for anyone working for an Airbnb property management company: How does Airbnb itself maintain a startup culture? Interesting question for anyone working for an Airbnb property management company: How does Airbnb itself maintain a startup culture? Question: Airbnb went through transformation (from hosts to hotels). Is Airbnb getting more anonymous? Question: Do mega hosts (i.e. big Airbnb management companies) with 800 properties have a place on Airbnb? How different is it to book a hotel on Airbnb and Booking.com? Has Airbnb lost its soul? Is traffic really organic or a lot due to the Airbnb referral program? Referral is big, but you still need a great experience to want to refer. Booking.com’s new boss of the vacation rental business explained how the company had been improving its tools and services for property managers. He announced that the OTA now listed more than 5,000,000 homes, apartments, B&Bs, and other unique places to stay. 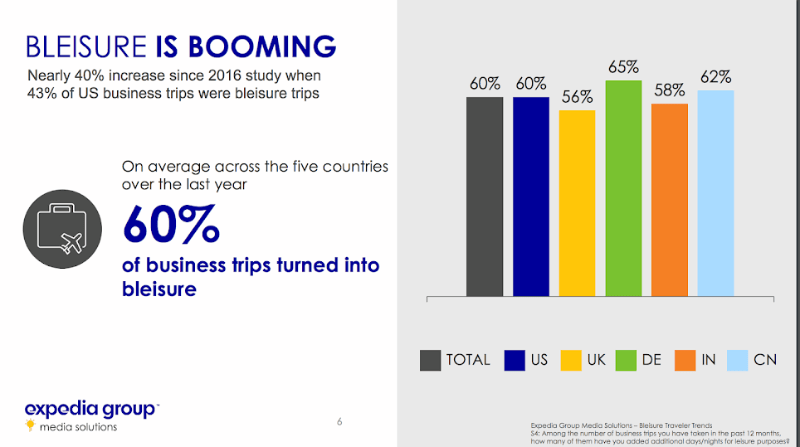 Interesting to hear how Booking.com, which was seen as an underdog in the vacation rental industry until recently, has come out as a strong contender in 2018. Expedia’s presentation was soaked into data and I loved that. 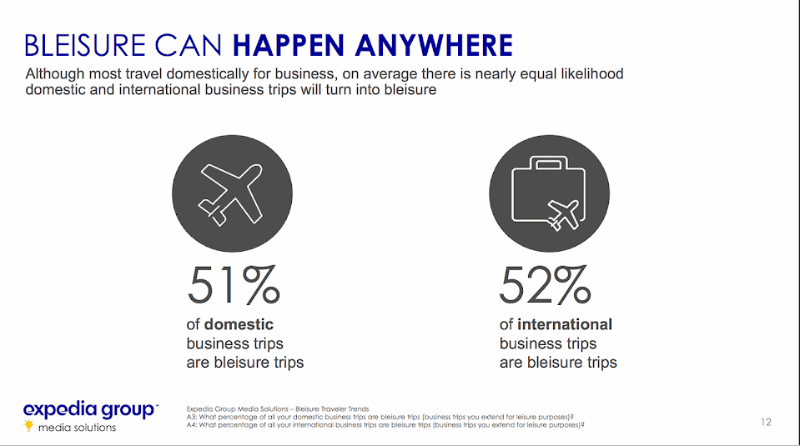 It was about how the growth in bleisure (trips that combine business with leisure) represent a great opportunity for the hospitality industry. I certainly see urban short-term apartment rentals as beneficiaries of this trend. 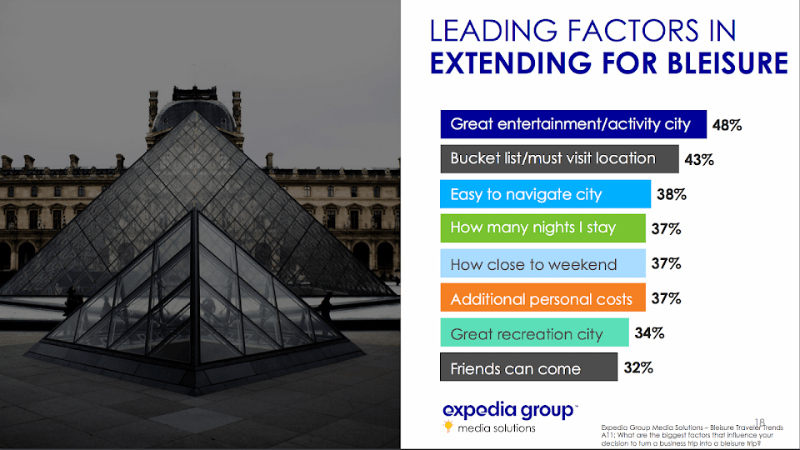 You can get the whole PDF presentation straight from Expedia’s website (for free). I hope that, as a busy Rentalpreneur, you have been able to get some insights from these videos, PDF, and notes. For more videos from PhocusWright, you can visit their Youtube channel. © 2015 RentalPreneurs. All Rights Reserved.